Cars are one of life’s biggest conundrums; the vast majority of us rely on them to make our daily lives easier and more efficient, yet owning one can be REALLY expensive! 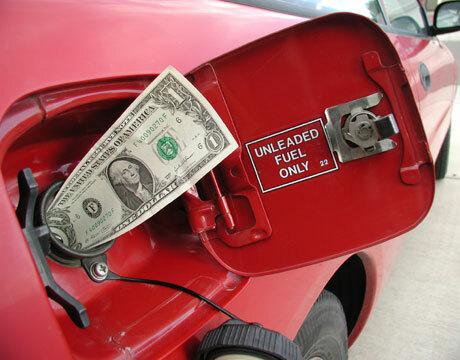 Fuel, maintenance costs, insurance and tax all make a big dent in your finances. However, it is relatively easy to turn your vehicle into a financial asset rather than a drain and many motorists are turning vital journeys into moneymaking opportunities. Gone are the days of having to ring or visit several financial institutions or insurance providers to get a quote on car finance or insurance before comparing them to get the best deal. Now it is quick, easy and convenient to check a wide range of car insurance quotes at Captain Compare, or other insurance/finance comparison sites. All you need to do is enter a few basic details about you and your vehicle and quotes from several different providers will be returned at the click of a button. You could be saving huge amounts of money today! A new and little known phenomenon known as ‘vehicle wrapping’ is set to be huge this year. Taxis and buses do it, so why not your car? The first step to this moneymaking opportunity is to actually get the ad onto your car. The company you sign up to will usually get this done for you by applying an adhesive ‘wrap’ all over the bodywork of your car. They are specially designed to be added and removed without any damage to the paintwork and could actually help protect your car against UV rays, corrosion and light scratches. Companies prefer to advertise on newer, well-maintained vehicles and you’ll be required to keep the car clean and in good condition whilst displaying their ad. If you have a few hours to spare each week, then becoming a part time courier could be the perfect job for you. It’s a job that can fit in with your lifestyle and you don’t need to invest any additional money or quit your current job. Courier jobs involve carrying parcels in your vehicle to their destination – the further you drive, the more money you get paid. All you need is good navigational skills and a good knowledge of the local area. Car sharing is quickly growing in popularity; but many people are still unsure how it works and how they can get the best from it. In a nutshell, car sharing gives you all the benefits of car ownership, without the hassle and expense of owning one. It gives you short-term use of a car that is shared amongst a group of people, coordinated by a central company who also manages issues like insurance and parking. Car sharing exists in hundreds of cities across more than dozen countries and experts expect this trend to continue. Currently over 340,000 people worldwide are members of a car-sharing organisation. Should I Buy a Used or a New Vehicle?